Pest description and damage The adult Douglas-fir needle midge is a tiny fly. Three different midges infest Douglas-fir: one species feeds near the needle base, one feeds near the tip of the needle, and the third feeds near the middle. 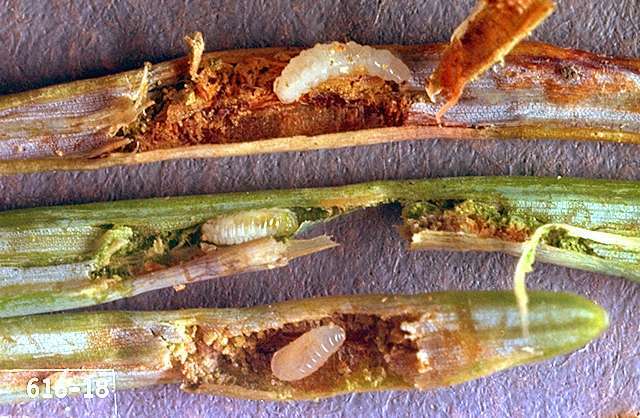 The tiny white larvae of the Douglas-fir needle midge mine the inside of needles, which become yellowed and distorted. Infested needles often bend sharply at the injury site. Damaged needles often drop from the tree, and heavy midge infestations can cause severe defoliation. 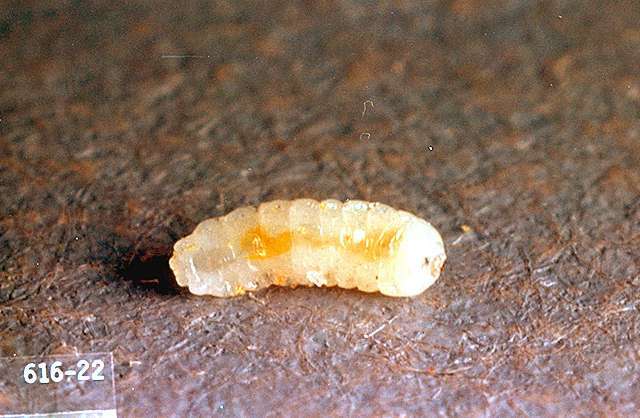 This pest is more significant in Christmas tree plantations and less of a problem in landscapes or wooded stands. Biology and life history The midges pupate in the ground, with the adults emerging around budbreak in the spring. They lay eggs on the new growth, and the newly hatched larvae mine the needles and feed through the summer. At the end of the summer, they drop to the ground to pupate. There is one generation per year. Prune out heavily infested twigs and branches.